Key Words: pineapple production; monocultivation; export crops; food security; pesticide abuse; contamination; supermarkets; transnational corporations. Stephanie Williamson (SW): This is for the newsletter. 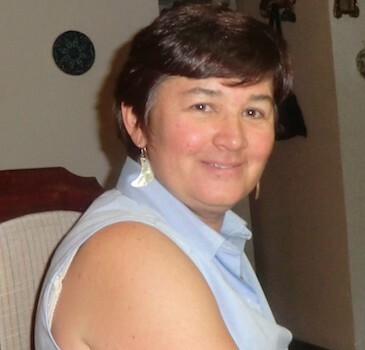 Patricia Blanco (PB): I’m Patricia Blanco; I’m a Costa Rican journalist, and I work in the University of Costa Rica. Other PAN-UK representative: Yes, the questions. OK, so when you are ready, just carry on. SW: So, we’ll go with the first question. Well, since we had the pleasure of interviewing you in 2000, 18 years ago, when we talked about the state of pineapple production in Costa Rica, could you explain a bit to us about what has changed in the pineapple production system in Costa Rica – perhaps things like what has improved, what’s got worse, and well, in terms of human health, environmental health, socioeconomic aspects, workers’ rights, occupational health, etcetera. So, in order to introduce the subject. PB: Perfect, OK Stephanie, firstly, many thanks to PAN for the opportunity to talk a little about pineapple cultivation in Costa Rica. Really, from 18 years ago up to today, pineapple production in the country has changed a lot; principally as pineapple has become an extensive monocrop. Back then we could say that pineapple production was concentrated in the south of the country, whilst today it covers various areas of the country; mainly the south, the Caribbean coast and the northern part. So, this means that pineapple has expanded from approximately 5,000 hectares of pineapples sown at the end of the 1980s; whilst today there are more than 50,000 hectares sown. The data are not exact and there are different data. But there is agreement that there are more than 50,000 hectares sown. So, with things as they are, the problems have increased. One very interesting thing to say is that this expansion follows an agro-export model and a diversification of agro-exports which governments decided to promote from the 1980s decade. So the pineapple became, as we would say, the star agro-export product. In macro-economic terms, it’s been successful such that it’s become one of the top export products and today it’s the third most important export product in the country. PB: After the banana. In first place: medical devices – a manufacturing product which we would say is produced in something like a maquila style; and although it’s also a result of research, it’s more than anything a manufacturing product. And in second place, the banana; and in third place pineapple. It’s exported principally to the United States – around 60% to the US; and 40% to the countries of the European Union; and the rest to other countries. So, this pineapple expansion has magnified the problems. The problems range from environmental to social and health as well, although there isn’t any research in this field, despite the fact that there are reports of complaints from affected communities. But I think that later on I’ll go into more detail about the consequences. SW: Well, at that time in 2000 when you came here, you were working and collaborating with the Popular Front Against Pollution. I’d like to know if the lawsuits that you had as a coalition against PINDECO, the biggest pineapple company at that time, lawsuits concerning more precautionary measures to protect the environment, social rights, etc, had any successful results, or not? PB: Well, as regards the companies and the struggle in the 1980s of the Front Against Pollution by pineapples in the south of the country, one result was the creation of a union, which is actually very difficult to achieve in the private sector. It’s something which is demonised; unions in the country are not wanted in several sectors, despite the fact that they defend the workers’ rights. I think that was an important achievement which still has some validity, as there’s a union of agricultural workers which defends the rights of this sector. However, with the pineapple expansion, control of the activity has gone out of the hands of the government because it’s very difficult to keep control over an activity that has become so extensive in different parts of the country. I was forgetting to say that one thing which has changed compared with the 1980s is that in the 80s the only producer of pineapples was PINDECO, a subsidiary of Dole. Whereas now there are other very large companies involved, so it’s the transnationals which are in control of the activity. Also, we have a large number of producers, small and medium-sized producers who decided to leave their own parcels of land producing basic grains for our country, producing for our national diet – such as rice, beans, corn – and decided to change to the production of pineapple. They were encouraged to do so by the incentives given by the government and by the high prices on international markets. It’s also very important to say that we are not dealing with an isolated activity within the country, but with something that is tied into an international economic model, with the markets, with free trade. So, many producers changed, left their former activities and began to produce pineapples. As you can see, and returning to your question, we had immediate results, but we never imagined that such an expansion would occur. This expansion also had its origins in research carried out by PINDECO and Dole on a variety of pineapple, called Pineapple Gold, if I’m not mistaken. The research was conducted here and showed that this variety would adapt very well to the climatic conditions; and the results were very, very successful. This type is a very sweet pineapple and very small compared to endogenous varieties or at least the varieties we have here. So, this helped the expansion. Thus, we can talk about how the pineapple changed from being a local problem in the south of the country to being a national problem. What effects have we had since the expansion of the crop? Change in the land use. As I said, many producers left their parcels of land or changed from producing the basic grains to growing pineapples. Destruction of protected areas, especially of wetlands which had been declared as RAMSAR sites in Costa Rica. This is very serious. Environmental contamination from the use and abuse of agro-chemicals, of pesticides, especially leading to water pollution. Intensive use of pesticides. I don’t have the figures to hand, but we already know in this country that there is abuse of chemical substances and that pineapple cultivation contributes in large part to this situation. There is also an impact on food security, originating in the abandonment of the growing of basic grains. SW: Well, the third question – and you were already beginning to say that we had to think that there is that demand for the pineapple at the international level – consumers, supermarkets, all those companies in the chain from producer to consumer. My question is: have you seen changes in attitudes or in the behaviour along this pineapple chain? That is, the supermarkets in Europe or the States, those who are buying Tica pineapples or also their consumers. PB: Well, as regards the changes in attitude of consumers, of supermarkets, and of everybody involved in the chain of distribution of pineapples or of associated products, in Costa Rica, we aren’t aware of these. The information on that doesn’t reach us, even though it’s extremely important. Why? Because in all this the consumers are very important, because it’s they who make the purchases and who eat them, even many times without knowing how they are produced or even what they are consuming. So, international campaigns are very important and put a lot of pressure on the country. I’ll give you an example: in 2017 on German television, Deutsche Welle, there was a report, a journalistic investigation into the cultivation of pineapple in Costa Rica. And later it was distributed through all the channels. That had a big impact on Costa Rica because the country depends on, and fears, its international image. It’s very important to have a good international image, especially because it’s a country which sells itself as an ecotourism destination of great importance. So, here you see there is a tremendous contradiction. Well, this TV report, made by German TV, had a big impact. These types of things, I think, are very important. If each time [they see the report], the consumers, consumer organisations, and some of the companies too, become more aware, they can get involved in lawsuits and spread awareness of the problems associated with pineapple cultivation: that is, as I said before, it’s a monoculture which has spread throughout the country. SW: OK, now the fourth question. I understand from my Tico colleague, Fernando in IRET, that the current Tico government takes a very welcome position, more proactive in certain aspects of environmental conservation and in aspects of sustainability. Could you comment and give us any examples of governmental policies on improved or stricter regulations which have to be followed with pesticide use on pineapples or bananas or other large-scale export crops? PB: Well, I think governments …. SW: And in particular the Tico government. PB: Yes, Costa Rican governments are worried about getting foreign currency into the country, and also about generating employment. And that’s how they see it and how they justify their support for an activity like this. In the case of pineapple, as I said before, I believe that control [of the activity] has gone out of their hands. In recent years, however, it’s important to point out that scientific studies have been conducted by the public universities, the University of Costa Rica and the National University, along with the state institution that is associated with and has responsibility for the agricultural sector. These researches detected the presence of pesticides in sources of water, in surface water as much as in subterranean water, which is the water that people drink. Many years back, there was a terrible case in our country of various communities in the Atlantic zone which had to stop using water from the wells and the government had to supply water daily by tanker. I don’t know how you would say it in English, but they’re like ‘trucks’ which transport the water and supply it to the population because the water in the wells is contaminated. And for several years now, the presence of various agro-chemicals in the water supply has been documented. For example: in the northern zone of the country, where 53 per cent of pineapple production is concentrated, since 2015 we have seen the presence of pesticides like bromasil, ametrina, exaxinona and diuron. As a result of this the government took the decision in 2017, and I think that it is a positive action, to prohibit the import and the use of bromasil in pineapple cultivation. To me that seems like a positive action. Another positive action is the carrying out of studies to monitor the state of the soil and water and the existing levels of contamination. That wasn’t done previously – although IRET has been very consistent for many years, but most times the university researches haven’t got to the level of political decision-making. PB: Another very positive thing is that now there are more complaints and denunciations from the communities, from environmental organisations and they’ve even presented judicial lawsuits against companies which have contaminated their natural resources and which have threatened personal health. This is very important in a country like ours, which is very legally based and where there is recourse to the law for everyone. This type of action has important effects. And it has also generated more information in the public domain and a greater concern about the negative effects of pineapple production. SW: OK, the fifth question. In your opinion, what would be the single most, or two most important actions for priority and decision-making that could achieve most in turning pineapple production into a healthier, safer and more sustainable system? PB: Well, that’s very ambitious. Really, with the current model of pineapple production that we have, I doubt that it can be turned into a sustainable system. I would say that what needs to be done, from some time ago, is that the communities and associations should be making demands of the government and the municipalities. In the first place, a moratorium on the cultivation of pineapple should be declared – that is to say that the dedication of more land to pineapple cultivation should be suspended. That’s a very important thing because up to now we haven’t had any such declaration and if it’s going to continue increasing, I think it would be really impossible for it to become sustainable. Now, I think that in order to gain greater control we need much stricter public policies; we need to establish a series of measures with which the companies have to comply. I think that this is also a matter of economic power because, as I said before, there are some transnationals that control this activity. With the small and medium-sized national producers there has been work done to improve agricultural practices. But they aren’t the only ones involved in this activity. There are the big companies which, although they certainly have their teams of professional agronomists and the rest, they still follow a system, a model of intensive agro-chemical use. We already know that pineapple cultivation uses practices that are very toxic for the environment. So, what is the government’s margin for manoeuver? It’s limited. Recently a former Minister of Agriculture of the country said in an informal conversation that for all the will that he had, in this particular activity there are very strong economic interests in operation. However, I’m certain that the government and the institutions of the state must have greater control. SW: And a follow-up question. What actions, what decisions could be made by and what role could be played by, for example, the British supermarkets that import pineapple from Costa Rica? PB: Well, I’m not especially knowledgeable about how the distribution chain functions; it’s not an issue that I’ve researched or read about. But I believe that, as regards the transnationals, the only entities or actors that could have influence are the supermarkets. They’re the purchasing companies and they are the ones that distribute the product. The Tico farmers who grow them don’t distribute them. They sell them to the transnationals and the transnationals are responsible for selling them in the different markets. It seems to me that the consumer countries’ supermarkets should have better information about the effects of the production, in this case of pineapple cultivation, on the origin countries; on the social and environmental conditions of the production. That could be really important. From our countries, under current conditions, I see that as difficult. SW: OK, the last question and an issue that is a bit more positive. I’d like to know a bit more about what is being done? If there’s an agroecology movement in Costa Rica? If so, what type? And what kind of activities do they do? What kind of agricultural practices? What type of people are involved? And a little about any level of governmental or municipal support, or support from the food sector for promoting organic or agroecological systems of production? PB: I think there is a tendency – I would say at the global level – to move towards more environmentally friendly production. And Costa Rica is also in that tendency. I think that peoples’ awareness that chemicals, agrochemicals are toxic for our health and for the environment is increasing all the time. And there’s a greater desire to eat more healthily. However, that implies that in a country there are decisions and policies which government authorities can take to make this possible in many cases. In the case of Costa Rica, how do I see that situation at the moment? There is greater availability of organic products than before. There are many more organic markets in different towns. Also, in a limited way, you can find a section of the supermarkets dedicated to organics. And also, I could say that there are changes in the teaching and in university courses concerning agriculture. That’s very important because in that way there begins a change in the mentality of people and of future professionals who are going to work in different places. So, for example in public universities where there was a teaching model based on the use of chemicals, they’ve changed to a bio-model, more in league with Mother Earth, with the environment. For me that is really a source of great hope, because it’s the new generations who are going to be able to make the major changes. Also, I see an important agroecology movement in the communities, with the campesinos, with people, supported in many cases by small associations of students, of professionals, who have major information resources, for the transfer of technological information and on many other aspects. So, for me that’s a source of hope, because if there is really an important movement from the communities, I believe that it can reach up to the state. That is, so that the state takes effective measures, determines policies and supports those small movements that there are in different communities because they want to have a healthier environment free of agro-chemicals. But it still seems to me that this kind of movement continues to be limited. The greatest availability of products continues to be, unfortunately, those grown with agro-chemicals, and with unsustainable practices. SW: And can you end perhaps with some examples of how it affects your own work, or that of your colleagues in the university where you work? What evidence is there of ecology or bio-production? I don’t know if there are any examples of research or work on …. PB: Yes, I think there are some that you can use for reference. I’ll give you a link to our website at the University of Costa Rica. Recently, last June, we did some journalistic work to see how the university is contributing to making pineapple production more sustainable – what you were asking me about. And we realised that there is a series of researches which have been done especially looking to reduce the environmental and social impact of pineapple production. An example: the use of the stubble, the waste from the pineapple, which gives rise to a lot of pollution because there’s so much of it and because in order to get rid of these remains, what the producers do is burn it. And that has a strong impact on the soil. So, some research has looked at how they can make use of these wastes in a sustainable way. There are several investigations into this – so that’s one case I can cite. The other involves alternative ways of reducing the impact of the stable fly which propagates itself on these wastes and which strongly affects cattle. On that also the universities have collaborated on research into how to control this insect, but without causing more pollution; but doing it in a more natural way, with the use of biodegradable technologies. Also, another way in which the universities have contributed, along with the government, is with training for the producers in good agricultural practices. For example, there is a project that the University of Costa Rica has carried out in the north of the country, and I understand that the National University has also been involved in that. For example, there has been work on the environmental properties of agro-chemicals so that the farmers are informed about these. On water and the management of waste water; alternatives to reduce the use of agro-chemicals; also, to reduce pests such as the stable fly, as I was saying. And the wastes, which we call stubble, amongst other things. So, not everything is bad – there is work in various sectors that are aware and concerned about the impact of pineapple production. And I think that perhaps in several years we might not manage to reduce the area that’s dedicated to pineapples because that will depend on the international market. Probably in several years another product will come along and supplant the pineapple, but there’s a lot of work to be done in that respect.